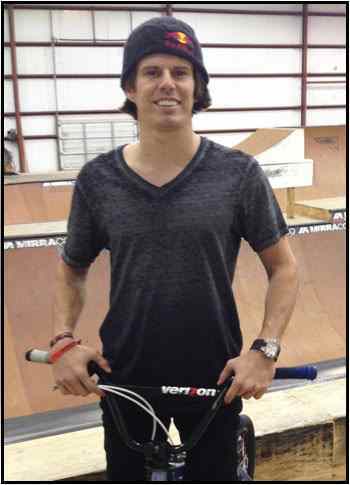 Freestyle BMX Champion Daniel Dhers wearing Wryst Timepieces! Daniel Dhers as the man to beat and won the X Games in2007-2008-2010 & 2011 and DEW TOUR in 2006-2007-2008-2009 & 2010 wearing Wryst Airborne Sports Watches. THIS is what “Airborne” is about!! BMX PRO RIDER Daniel Dhers is nothing if not consistent – consistently the best. An exceptional breakout year in 2006 – in which he clinched the Action Sports Tour title – made Dhers as the man to beat and won the X Games in 2007-2008-2010 & 2011 and DEW TOUR in 2006-2007-2008-2009 & 2010..! That success couldn’t be in sharper contrast to the Venezuelan’s low-key start to the sport: he and only took up BMX because his friends got bikes. His attitude changed when his parents moved to Buenos Aires, Argentina, when he was 16. It gave him the chance to develop his skills against a wider circle of riders and – more importantly – a bigger and better park. In 2004, Danny was invited to Woodward’s Camp ramp Mecca in Pennsylvania hasn’t looked back since, leaving his rivals vying for second place.